Are you feeling puckish? Located at the base of Awbrey Butte just down from Central Oregon Community College, Birdies Café is tucked in a small strip mall serving students and discerning Bendites. 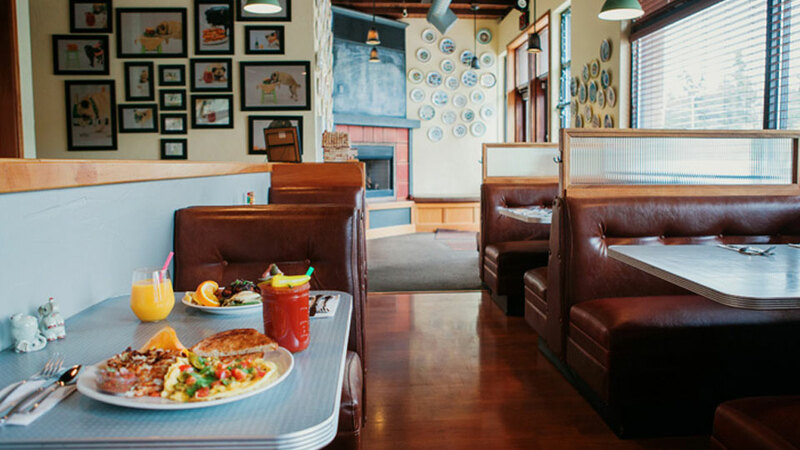 The Americana-themed restaurant serves breakfast and lunch seven days a week from 7 a.m. to 2-ish. Owned and run by Chris and Denise Tate, Birdies will happily take on your private event or special celebration, and they team up with their neighbor, Bend Wine Cellar, for their wine dinners, evenings of elegant wines selected and presented by Master Wine Curator Dennis Sienko and paired with menus specially created by Executive Chef Chris Tate and his culinary team. Big supporters of rescuing animals, they are committed to “feathering the nest” of a different non-profit animal organization each quarter to build a better community for animals. A sample from their menu includes their southwestern scramble, Carolina pulled pork benny, buttermilk Johnny cakes and chicken & waffles. They offer beer, wine and a limited bar menu to complement your meal.